What are temporary orders in Massachusetts? ​When a divorce begins, rarely do the parties consider temporary orders in Massachusetts to be a necessity, however they ask the court for many things. When the divorce begins, the parties rarely sit in a position to agree on a parenting plan, child support, health insurance, payment of expenses, etc. After all, most people are getting divorced because of a failure in the marital relationship that makes decisions an already a difficult accomplishment. Emotions are usually raging. One party may have recently vacated the home. One party may want the other out of the marital home. There may be a disagreement about how to parent the children. Payment of debt may be at issue. Temporary orders address all of these topic areas on a temporary basis to help the parties work through the issues as the case moves forward. ​Temporary orders are typically sought at the beginning of a divorce or parenting case to set a “status quo” for support, visitation, etc. during the course of the case. If the parties already have a “status quo” and it is being adhered to, this phase may be skipped entirely, or postponed to a later time if issues arise. For temporary orders, one party files a motion requesting the temporary orders and the parties are then scheduled to attend a hearing to determine how these issues will be resolved while the divorce is pending. As the parties await the hearing, they can discuss, themselves or through their attorneys, how to resolve certain issues. Often, counsel for the parties will attempt to resolve as much as possible prior to the hearing. Though the process differs within each Court, often the parties will attend a meeting with the Probation Department to seek agreement on the issues before the hearing occurs. Whatever issues cannot be resolved between the parties will be decided by the Judge after a hearing. The agreements or orders, or a combination of the two, will stay in place until either a new order is issued by the Court or the divorce becomes final. ​If a temporary order is not followed, the opposing party can bring this to the attention of the Court and seek sanctions, an order to comply and/or a modification of the then existing order. This is particularly important where a parent may withhold a visit for failure of a child support payment or due to an argument or a parent may fail to may the other’s mortgage because of a disagreement about the children’s schedule. The issuance of temporary orders sets the “rules” and takes the “control” of any one situation away from each of the parties. If you feel powerless over certain issues, a temporary order will likely put you in a better position. 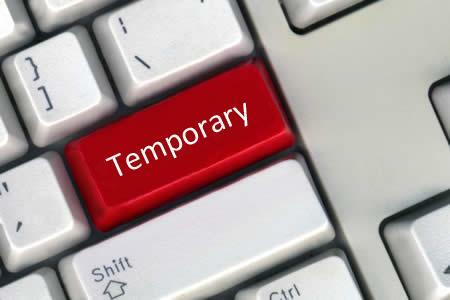 ​More often than not, temporary orders are a necessity. Speak to your attorney about your individual case or call me for a consultation. Divorce Without Consent: Can I divorce without my spouse’s consent?